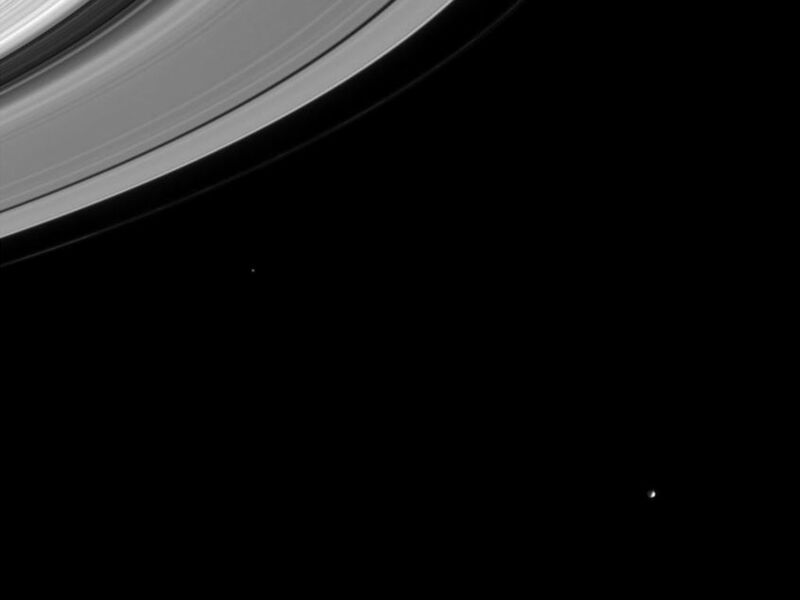 This image captures several important targets of the Cassini mission: icy moons, rings, and the gaps in the rings that may contain small undiscovered moons. 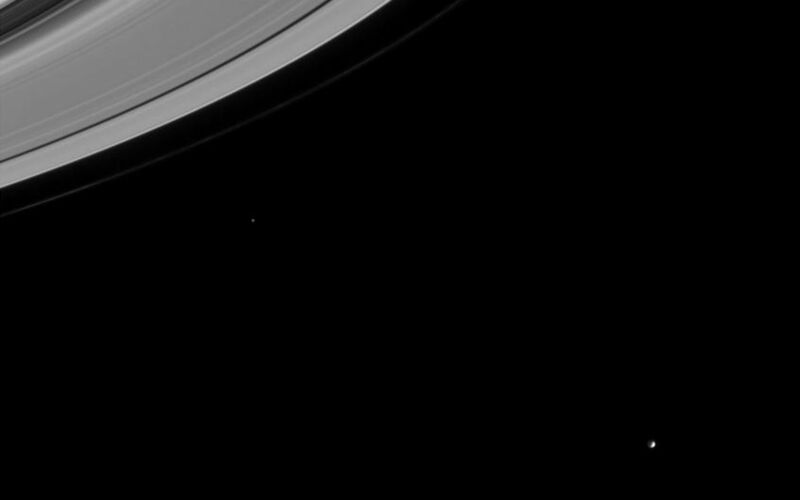 Mimas (398 kilometers, or 247 miles across) is easily seen near lower right. Epimetheus (116 kilometers, or 72 miles across) is visible left of center. The 4,800-kilometer- (2,980-mile-) wide Cassini division is the dark swath at upper left. The Encke Gap (325 kilometers, or 202 miles wide) is visible as a dark curve near the edge of the A ring. The thin F ring is seen here, exterior to the main rings. The image was taken in visible light with the Cassini spacecraft narrow angle camera on Sept. 10, 2004, at a distance of 8.9 million kilometers (5.5 million miles) from Mimas and at a Sun-Mimas-spacecraft or phase, angle of 84 degrees. The image scale is 53 kilometers (33 miles) per pixel. The image was magnified by a factor of four to aid visibility.